Just when you thought this was going to be a crummy week, Paradox hands us a pretty new trailer for its upcoming co-op spellcasting frenzy Magicka 2. This time around it's a totally unscripted sneak peek that's pure real in-game footage with wizards controlled by unpaid people doing normal things gamers always do. Let's watch! There, don't you feel better now? Those people looked like they were having fun. Real fun, not fake scripted fun. When the game releases on May 26th for PC and PlayStation 4, I'll have fun like those people, what with the casting of spells and co-op gameplay and whatnot. 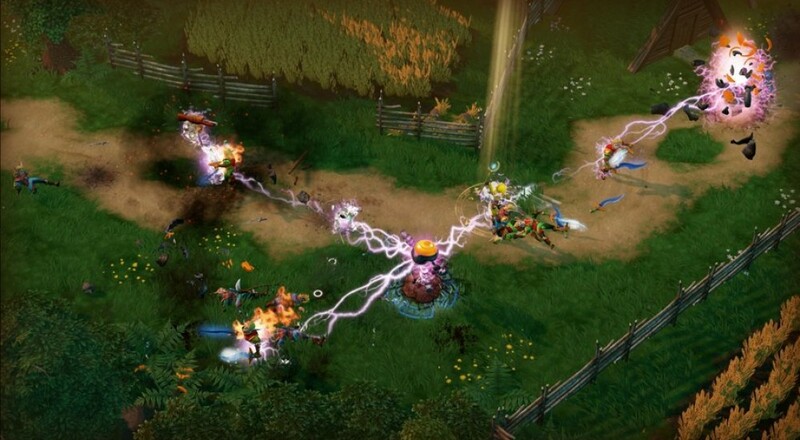 Boy, Magicka 2 sure does seem swell. I might buy two copies just... because. Spells can be combined to make new elements (duh). Spells hurt other players (yeah....). There's a "Friend Dead Nemesis System". There's a "Rich and Engaging World"
Modifiers called "artifacts" do something called "dibble-dub-re-relay-plibble-dibity". Oh, and in case you forgot about the previous trailer, Vlad's not a vampire, and this isn't a Game Of or about Thrones. Page created in 0.3000 seconds.